Whether you are looking to furnish your office or simply a station for your computer, a desk is certainly an important piece you ought to invest in. Lucky for you, there are thousands of different designs in the market to suit all your preferences in terms of size, shape, color and much more. However, there is always the limiting coinage factor. But assuming that money is not a tool, just imagine how cozy it would feel working on a lavish desk without the tension that you might perhaps leave your work place with an unimaginable lumbago. 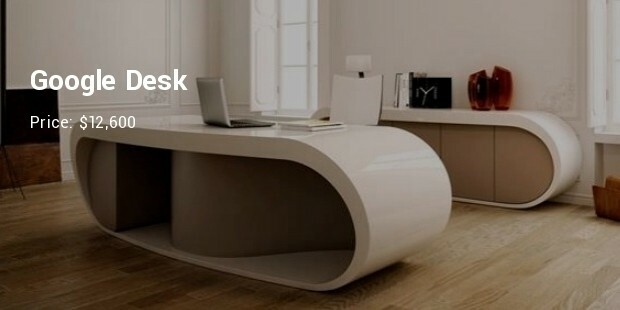 Well, there are desks designed to guarantee you a backache-free working experience. 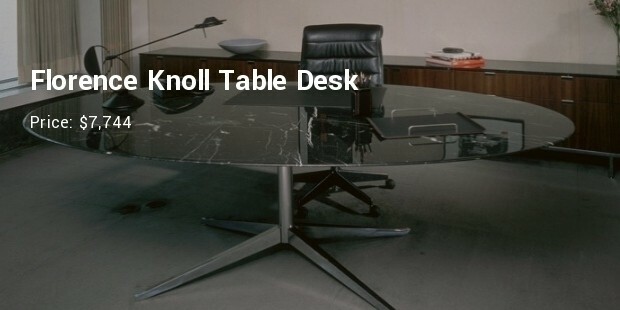 Let’s review some of these most expensive desks in the world. Priced at $200000, the Parnian Company, based in Arizona, builds customized desks to the buyer’s own partiality. 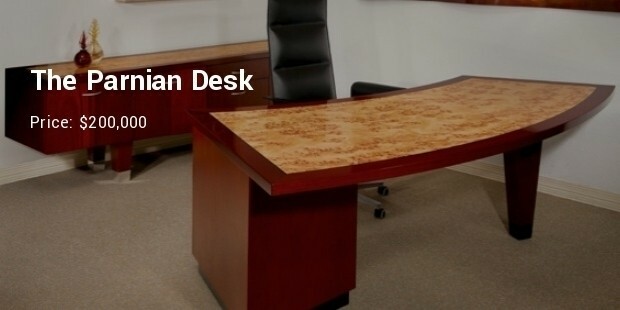 The desks are made from 6 different kinds of exotic woods such as ebony and elm. The finishing is great and a glass is used to top off the desk. 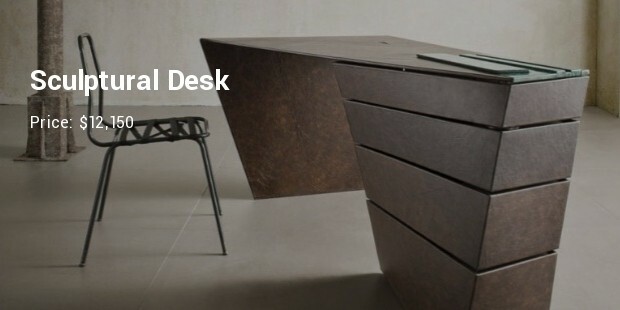 As the name implies, the desk is made in the DMG design with stainless steel reinforcements. 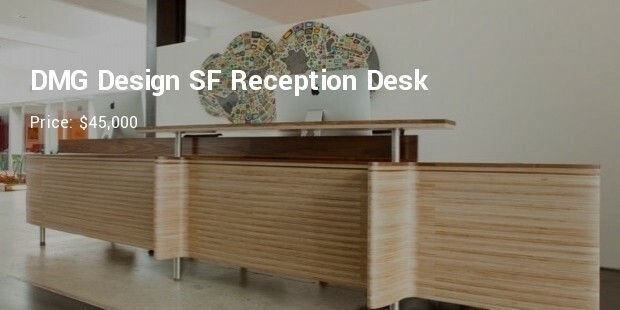 Being a reception desk, different sizes and shapes are available upon request and specification by the buyer. The desk goes for $45000. 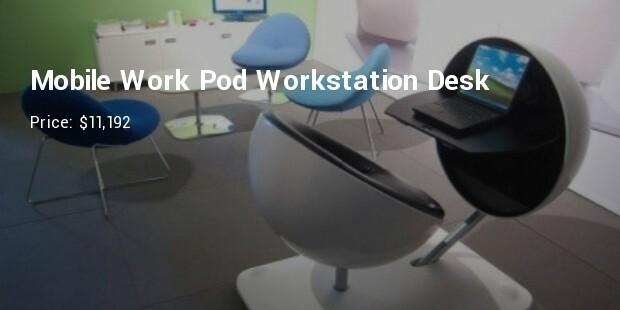 Going for $11192, the Mobile Work Pod desk is a flexible, multi-purpose desk that has curiosity written all over it. 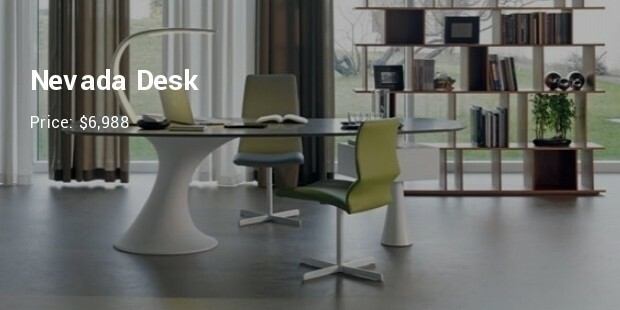 Fitted with a tabletop and a swivel chair, you will find it to be a very comfortable and intriguing workstation. 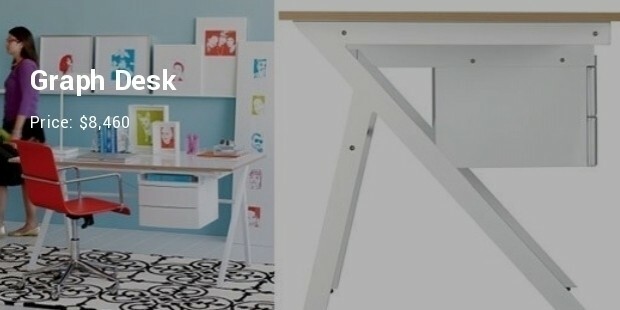 In addition, the desk can easily be closed to conceal its purpose. Though we often find it hard to lay out money, sometimes it’s worth it. With these top most expensive desks in the world, you not only add glamor to your office but also get to experience a whole new dynamic world of comfort.